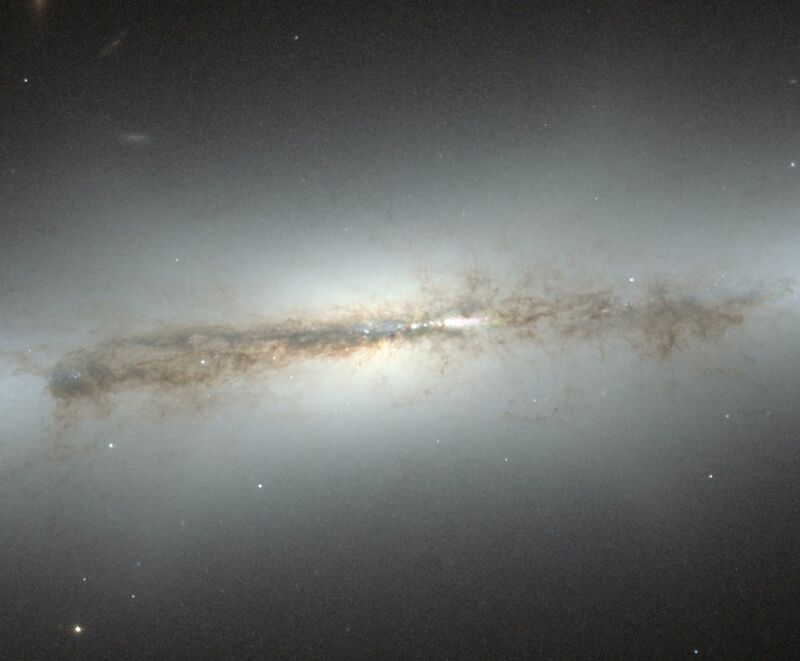 This image from the NASA/ESA Hubble Space Telescope shows edge-on galaxy NGC 4710. When staring directly at the centre of the galaxy, one can detect a faint, ethereal "X"-shaped structure. Such a feature, which astronomers call a "boxy" or "peanut-shaped" bulge, is due to the vertical motions of the stars in the galaxy's bar and is only evident when the galaxy is seen edge-on. This curious feature is also seen in the Milky Way.